The Herzl Institute aims to contribute to a revitalization of the Jewish people, the State of Israel, and the family of nations through a renewed encounter with the foundational ideas of Judaism. 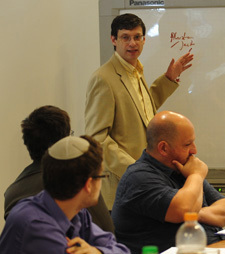 The Herzl Institute will serve as a hub of collaboration, research and joint learning for Jewish scholars, clergy, lay leadership and students who seek better answers to the challenges ahead through a more rigorous engagement with the riches of Hebrew Scripture and rabbinic sources. 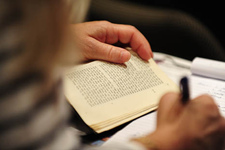 The Herzl Institute welcomes the participation of Christian and other non-Jewish scholars and students who see the sources of Judaism as offering an opportunity for foundational renewal within the context of their own nations and faith traditions. The Herzl Institute will conduct an array of intensive outreach activities, including public events, publications, and new media platforms aimed at bringing the fruits of its work to a broad public in Israel and abroad. The Herzl Institute seeks collaboration with research institutes, academic institutions, and religious seminaries throughout the world in an effort to leverage great ideas and establish coalitions of significance. The Herzl Institute strives to honor the memory of Theodor Herzl: statesman, political thinker, and champion of his people, whose vision and deeds initiated the rebirth of Israel. The Herzl Institute is located in the German Colony neighborhood of Jerusalem, home to the Menachem Begin Heritage Center, Shalom Hartman Institute, Israel Democracy Institute, Jerusalem Center for Public Affairs, and Van Leer Institute, among other resources. You can sign up to receive updates about the Herzl Institute here.